Remember Melissa Click? 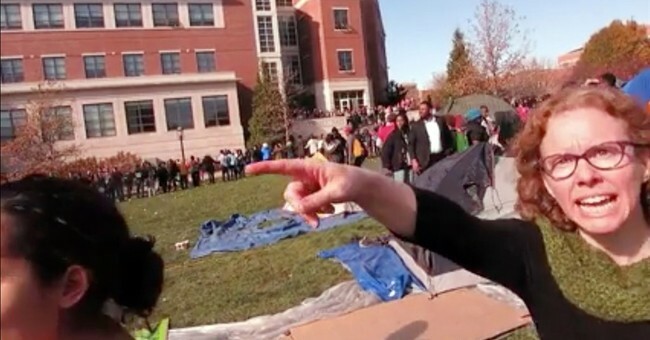 She was the University of Missouri professor who demanded “some muscle” to remove a student journalist who was reporting on a campus protest. Ironically, Click worked in the communications department, so she should have been especially sensitive to the rights of a free press. As a result of her unprofessional behavior, Republican lawmakers wrote a letter to Mizzou’s board, interim chancellor and interim president urging them to fire Click. Unlike Click’s harsh tactics, they are pursuing a peaceful removal. "The fact that, as a professor teaching in the communication department and school of journalism, she displayed such a complete disregard for theFirst Amendment rights of reporters should be enough to question her competency and aptitude for her job," the lawmakers wrote. "It should be evident that these actions are inappropriate, illegal and unacceptable for a faculty member of the University of Missouri." Schierbecker had just as much right to be at that protest as any other student. Any so called communications director who doesn’t understand this basic constitutional freedom doesn’t deserve to be molding young adults’ minds.